Strictly speaking, our native Beech is deciduous, but its crisp winter leaves, which stay on the plant until pushed off by the new bright green growth in spring, make it a great alternative to an evergreen hedge. Beech is relatively fast growing, at about 30-60cm per annum so it does need to be trimmed in late Summer/early Autumn. The Autumn clipping is essential for the leaf coverage to be retained throughout Winter. Fagus sylvatica likes sun or partial shade and does well on almost any well-drained soil (acid or alkaline), but is not suitable for heavy clay or wet sites where Hornbeam hedging (a very similar looking leaf and a species which also goes copper coloured in Autumn) is a more successful option - see also our full range of native hedging plants. Though it is suitable for windy sites and is suitable as a dense windbreak hedge, it may not keep all of its winter leaves in very exposed (particularly coastal) positions. Beech forms a super formal hedge but its also a very good component in a native mixed hedge providing some winter colour and an important wildlife shelter when the remainder of the fully deciduous hedge loses its leaves. If you are looking for Purple Beech hedging (often called Copper Beech), please click here. See our colourful alternatives in our colourful foliage section. If you have any questions on this species, please give us a call on 01257 263 873. As one of our most popular hedge species, we sell an awful lot of Beech hedging each year but we're also familiar with customers asking for hedges similar to Beech hedging, especially if they are planting in sites prone to waterlogging, drought or heavy clay soils. In this instance, we advise that instead of Beech hedging, you should plant Hornbeam hedging. Similar in appearance, Hornbeam hedging copes better with difficult planting situations and will still retain some of its foliage throughout Winter. 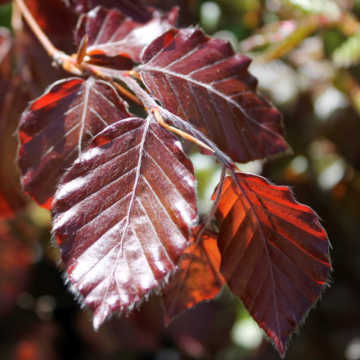 If your planting site is suitable for Beech hedging, but you're looking for a slightly different aesthetic, we also recommend Purple Beech hedging or Copper Beech hedging as it is also known. If Beech hedging or similar isn't the ideal hedge for you, you'll find a comprehensive selection of alternatives and suggestions for your garden via our Choosing the Right Species page. Prices shown are the price per plant, other than the discounted packs of 250, 500 and 1000. Planting distance is very much a matter of choice. For bare roots, 3 plants per metre is adequate, 5 is good, 7 plants in a double staggered row makes a dense hedge quicker. Smaller plants are generally planted at higher density than tall plants. Pot grown plants have recommended densities shown (which vary by pot size) but you can increase or reduce this density dependent on your level of patience. Cell grown should be planted at 4 per metre in a single row, or ideally 6 per metre in a staggered row. Root ball Beech is normally planted at 2-3 per metre in a single row. Planting distances are very much a matter of choice - for bare roots, 3 plants per metre is adequate, 5 is good, 7 in a double staggered row will give a dense hedge quicker. Generally, smaller plants should be planted at higher density. Cell grown should be planted at 4 per metre in a single row or 6 per metre in a staggered row but particularly with this species you could consider planting more densely. Planting density for pot grown and root ball beech hedging plants is as shown but you can vary this depending on your budget and how long youre willing to wait to see the finished product. For more information on planting distances please see our planting density advice section. Cell grown, pot grown and instant beech hedging plants are available to buy all year round. Bare roots and Root ball beech hedging is only available from November to late April/early May. 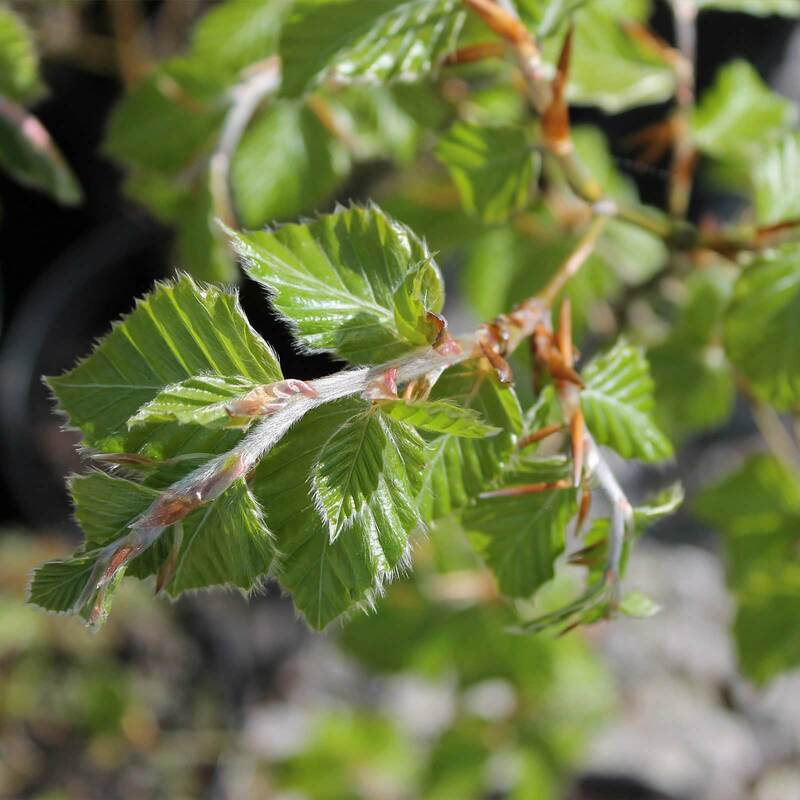 Beech hedging is relatively low maintenance and by planning your beech hedging care routine carefully, you will only have to prune once or twice a year. A beech hedge can be tidied up in June, if its looking a little messy. We recommend pruning an established beech hedge in late summer, August is the ideal time, as a late summer cutting means that the plants have enough time to regrow and recover before the winter and having a last flush of growth increases the winter coverage that makes beech hedging so popular. Looking after a beech hedge is important, but it is possible to renovate an overgrown beech hedge. This sort of beech hedging maintenance should be carried out in February whilst its still dormant. If your overgrown beech hedge requires cutting back by more than half of its size it is best to do this gradually over two growing seasons. Firstly, cut back the top and one side of the hedge, leaving the other side for the following year. Hard pruning is nothing to worry about, the beech hedging growth rate is particularly fast, approximately 30-60cm per year so your hedge will soon recover. 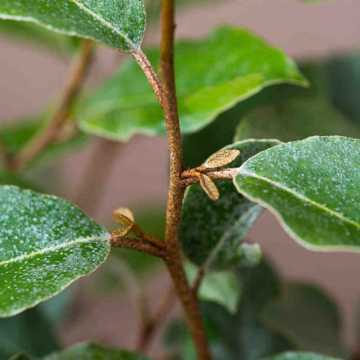 With regular beech hedging maintenance, we do recommend using a slow release fertiliser, such as Bonemeal." 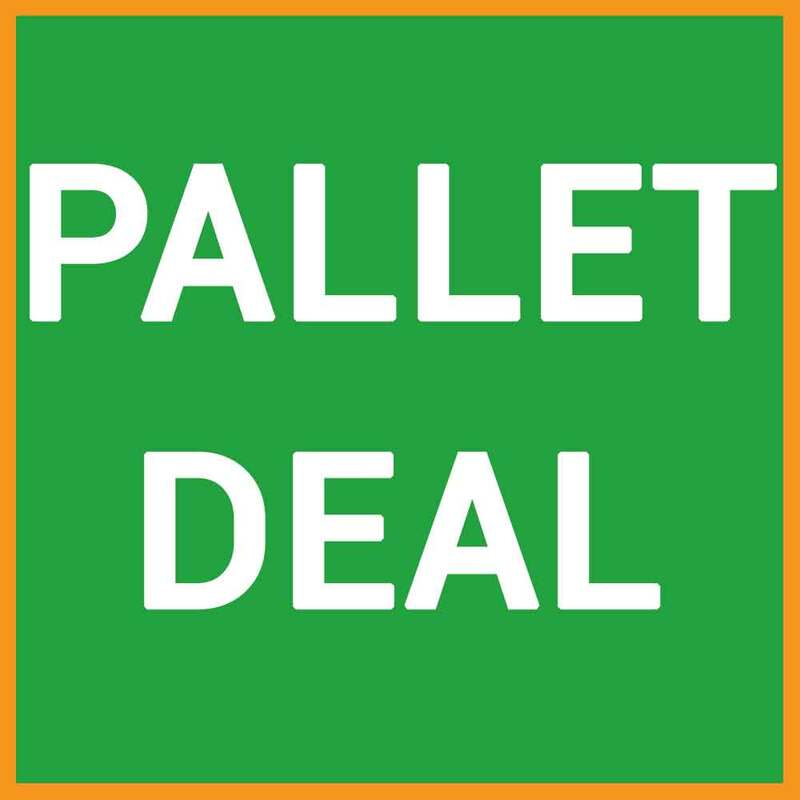 Want help and advice, or want to discuss a large order?